The Eldersburg campus will hold monthly worship services each 3rd Sunday of the month at Liberty High School (5855 Batholow Rd, Eldersburg). Kids programming for birth through 5th grade available. 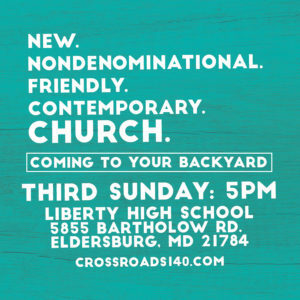 Invite friends from the Eldersburg community & join us each month at Liberty High School! Attend one of our upcoming home interest meetings & learn more about the launch of a NEW Crossroads Church Campus in Eldersburg! Please be sure to RSVP using the registration button below. 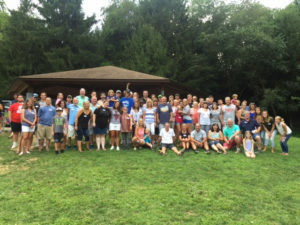 You are invited to join our Eldersburg Campus Core Group – those who serve, give and invite – the 1st Sunday of each month at Freedom Church (2015 Old Liberty Road W)! Jump in and help us grow this new campus! Join us as we participate in this community event the evening of Tuesday, August 7th! 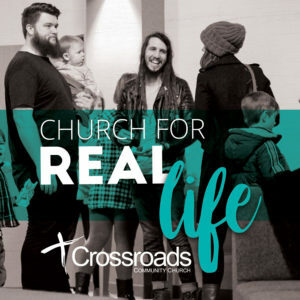 For questions or more info on an event or home meeting, please email info@crossroads140.com.